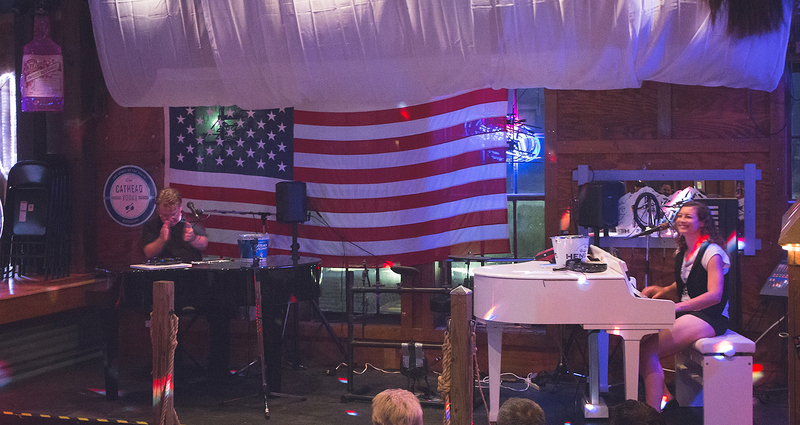 This freshly minted dueling piano bar opened in May of 2016 and is downtown Charleston's only dueling piano joint. It's located upstairs from Queology, owned by the same folks. We don't know too much about this bar yet but we know they have two separate seatings, and you need to purchase a ticket for each show. So as far as we can tell this is not a bar you can just hang out at all night. It's treated more like a theater show. It appears as though they don't currently have food, although if you go to their website you can purchase a $50 "dinner and a show" through Eventbrite, which includes a 3 course meal at the nearby restaurant Eli's Table (owned by the same people), and then you are instructed to "head over" to Que d'Keys for the dueling piano madness after you eat. Presumably they clear out the showroom before 9 pm so they can seat for the 9-11 show. This is a corporate venue run by Charleston Hospitality Group that also owns Toast, Market Street Saloon, Queology, Wreckfish, Tabbuli and Whisk. The space holds 180 people, so it's not a small room.